In SEO marketing efforts, we cannot overlook the importance of having a correct and updated sitemap. To define a sitemap is pretty simple. A sitemap is a small file, or “map” linking together each page of your website, and in a format that is easily readable, and accessible, by search engine crawlers. Generally, site maps are documents that website creators upload onto the website once it is complete, but sitemaps can also be utilized as a planning and organizational tool for web designers. Sitemaps are the organizational side of a website. When you view a sitemap, the pages, navigation, and labeling of the website should be easily defined for users and search engines. A sitemap’s meaning will vary from website to website. Each will be unique to the website that they represent, and each will have different elements – it all depends on the creator of the sitemap and what the user is hoping to achieve. Overall, you need a sitemap so search engines know what content is on your site, and how often it is updated. There are two main types of sitemaps. XML and HTML. From these two versions, site maps split even further into different categories. These categories cover webpages (generally XML site maps), image sitemaps, and video sitemaps. When you’re ready to create a sitemap file, you will generally use XML. We’ll talk about why in a few moments. What Information Should a Sitemap Contain? Since sitemaps are the best way that search engines find your website, you want to ensure that all the information from your webpage is listed in your sitemap. This means every link and its click path, must be present and accounted for. You can also create image and video sitemaps, but these are not widely used among SEO specialists. Depending on your need, you may not utilize these versions of site maps at all. While search engines use sitemaps as their guide through your site, and can increase your rankings, creating a sitemap isn’t a given that your site will appear on the first page of search results. What the sitemap will do, however, is ensure that search engine crawlers have the information they need, and that they can see each and every page listed on your website. Understanding the need for a sitemap is a great starting point, but how do you find a sitemap from a site you’re managing? Or for that matter, how to find the sitemap of any website out on the internet? There’s a pretty easy way. Most websites list their sitemaps at the bottom of their homepage. Since the purpose of a sitemap is to allow search engine bots to crawl your pages, having the sitemap on the homepage of your website is common practice. This makes is extremely easy for search engine bots to find the sitemap and work their magic. The sitemap location can vary from website to website, but when you look at most websites, scroll to the bottom of the home page. You’ll more than likely notice a small link labeled “sitemap” or “links”. 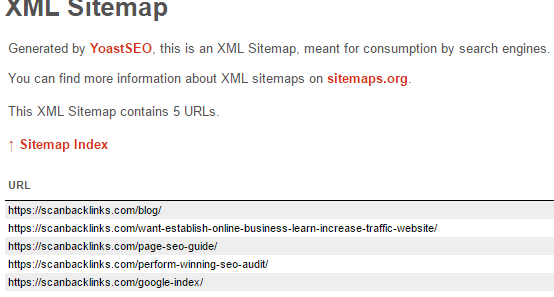 When a website creator takes the time to manually create their own xml sitemap, the sitemap.xml location is generally listed as something similar to www.URL.com/sitemap.xml - which will allow users to access the sitemap directly. We’ll dive into how to create sitemap.xml for your website in a moment, but first, let’s take a look at a few website sitemap examples. These will give you a better idea of what to include in your sitemap, and how best to arrange the pieces of your sitemap correctly, for maximum search engine results. Now, before you runaway screaming from the paragraph of code, let’s take each XML tag one by one and understand its meaning. Break out your old HTML skills, they’re going to come in handy here! Each and every sitemap.xml file absolutely must begin with an opening <urlset> tag and must end with </urlset>. Each parent navigation link will begin with <url> tag and end with </url>. Every child (or sub navigation) should be surrounded by <loc> and </loc> tags. After all of these tags, remember to start your URL with “http://”, not just www.domain.com, or the sitemap will not be compliant. To tell search engines (and users that access your sitemap) when the site was last edited, you need to have a <lastmod> tag. The date between this tag and the </lastmod> tag should be written as YYYY-MM-DD. You don’t have to change this date each time you change your site – the search engines will pull that info automatically. <changefreq> stands for “Change Frequency” and is used to signal the search engine bots just how often the page is edited, and when they should index the website. Remember, this is not an automatic scheduler – it’s simply a way to notify the bots to the frequency of changes, but it is ultimately up to the search engines to spider the site when they want. The above tag needs one of the following values: always, hourly, daily, weekly, monthly, yearly, never. The <priority> tag has a value of 0.0 to 1.0, and is signaling to search engines YOUR preference for how you’d like your website indexed. Default priority is 0.5, and any page with a higher value than this will be looked at by search engines before a 0.5 priority, while anything less will be bumped after. It seems daunting and scary, but it really isn’t as difficult as you’d think. We’re going to review several website sitemap checkers that will help you feel more confident in your sitemap writing abilities. Get ready to start creating your own sitemap.xml file! It’s that time. Depending on the platform that you are using for your website, there may be different plugins you can utilize that will actually help you create and build your website sitemap automatically. We’re going to assume you’re doing this old school and writing your own. Let’s start by opening up a text editor, like notepad. Don’t use Word, or any version of the program. Word formats text automatically, and this can make your sitemap invalid, and incorrect. Use notepad – and save yourself a headache. Create your template. As shown above, your sitemap template does not have to be complex. Especially if you are working with a fairly small site, without many pages, manually creating your sitemap will be extremely easy. Use the above example as your guide. Copy and paste this into your notepad file. Replace each http://www.enteryourwebsitehere.com/ with your link. This does mean that you will have to click through each and every link on your website. Copy and paste each link into their own tag set. If you run out of <loc> tags, just keep adding them – they can be unlimited! Start to personalize the other tags in the sitemap. This means adding the correct date to <lastmod> tag, listing how often your site will be modified in the <changefreq> tag, and listing your <priority> in this particular tag. Save your file by clicking “file” and then “save as type”. You want to select “All files” and then change your file extension from .txt to .xml. Save the file as sitemap.xml and keep it consistent with most website naming conventions. That’s it! You’ve just created your sitemap. Now that your sitemap is created, let’s talk about how to add a sitemap at your website. Uploading the sitemap.xml file is pretty straight forward, it’s just a matter of discovering where the correct features on in your particular website platform. Start by logging into your website dashboard. Locate the section of your website dashboard that allows you to edit page settings. You’re going to place your sitemap.xml file in your root directory. Click on “upload file” (some web platforms may actually have a selection that reads “upload sitemap”, which makes this process 100% easier!). Find your sitemap.xml file and upload it onto your website. There are a few different tools out there that you can use to validate your sitemap.xml file. Many are extremely easy to use, and will provide you with details on what you’ve done incorrectly, and allow you to resubmit your sitemap until it looks exactly right. These are free tools, and each will help ensure your sitemap.xml file is ready to go for search engines! A basic sitemap validator, simply scroll to the bottom of the page and enter your sitemap URL to the box. Click “validate” and the tool will let you know how well your sitemap file is written. Similar to the XML Sitemap Validator, this tool allows you to copy and paste your site map URL or copy and paste your actual sitemap.xml text – before you’ve uploaded the file into your website. Personally, I recommend validating your sitemap file before adding it to your website! This is an interesting validator – you copy and paste your full sitemap URL, and then the system will check to make sure all links included in the sitemap are working properly. A validated sitemap will then be generated by the website, and you can upload this in place of your current sitemap. There are many other tools that can help you validate your sitemaps, and also a few tools that will create your sitemaps for you. This sitemap generator is incredibly easy to use. Copy and paste the URL that you’d like to use to create the sitemap. Click the “start” button, and boom – screaming frog goes to work to create your sitemap in minutes. There is a step by step walk through on the webpage so you ensure you’re not missing any steps. Exactly as the name suggests, this sitemap generator will work similarly to Screaming Frog, it just isn’t as pretty to look at. Copy and paste the URL into the “create/retrieve XML sitemap” box and click “get free XML sitemap”. The site will generate your sitemap.xml file for you to upload in to your website! 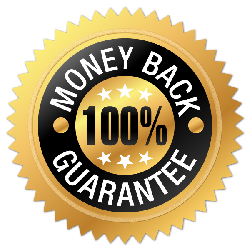 There could be a fee for this service if your website has a large number of pages, and they will go into detail once you have created your sitemap. These are just two options of the many tools out there that can help you generate your website sitemap, should you decide not to write it yourself. Since Google is the search engine to target, we’re going to talk about how to submit your sitemap file to Google’s Search Console. Make sure your sitemap does not exceed 10MB or 50,000 URLs. If it does, you will need to break your sitemap into several files. If you’re all set to submit to Google, log into your Google Search Console home page. Find the website you’re going to submit the sitemap to. You’ll see a button called “add/test sitemap” – click on this. Type in the file name of your sitemap (generally sitemap.xml). While sitemaps can seem a little daunting and scary, they are fairly easy to work with once you get the basics down. Remember that a sitemap is needed for search engines to crawl your site and hit each and every page that is active on your website. Without a sitemap, you run the risk of pages being missed, or your site not being indexed at all. Refer to this article when you need additional help, or have questions about creating your own website’s sitemap! Also, try our DA and PA checker to discover these important metrics for your site.